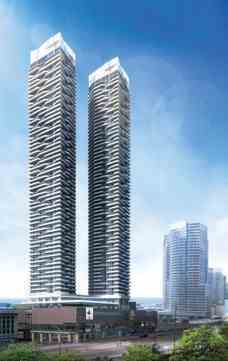 Harbour Plaza By Menkes Developments Ltd.
Harbour Plaza Residences is a new condo project by the famous and well know builder, Menkes Developments., and is currently in prescontruction at 90 Harbour St., in Toronto. This wonderful condo will feature 2, 70-storey towers with direct access to the path network and a 31-storey office building. This is definitely a AAA location for first time buyers and investors!